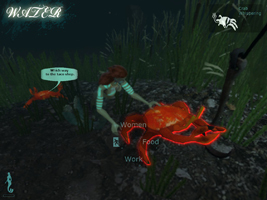 Today we're announcing our latest project Water, singleplayer adventure and puzzle modification. Water is a total conversion, and in no way related to the Half-life universe. It's an all new game. Our aim is to deliver something that, although short, is both polished and refined with an emphasis on all-new content. Whilst it's being developed under HLSS, Water is a collaboration of the developers from Research and Development, Flesh and Human Error. 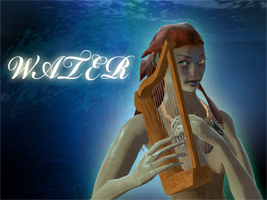 The player assumes the role of a mermaid, the eponymous heroine Water, as she arrives at the border of an industrial slum. She has come to investigate a series of strange occurrences with the fisherman she has encountered. 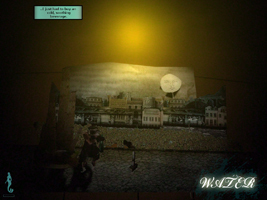 The gameplay revolves around your interactions with the Fish People in your search for clues, solving puzzles as you go in an effort to make your way through the town. 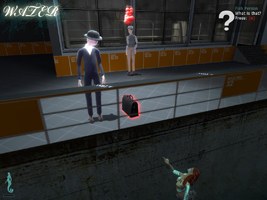 Confined to the waterways and canals, players will need to manipulate NPC�s into doing their bidding. It�s very tongue in cheek, most of the ideas having come to fruition whilst suffering from sleep deprivation. Look for more information on Water, and Human Error: Episode 2, in the near future. Also, don't forget to vote for us in the MOTY awards. Valve, the Valve logo, Half-Life, the Half-Life logo, the Lambda logo, Steam, the Steam logo, Source, and the Source logo are trademarks and/or registered trademarks of Valve Software. All information is copyright their respective authors. Website designed by my brother.